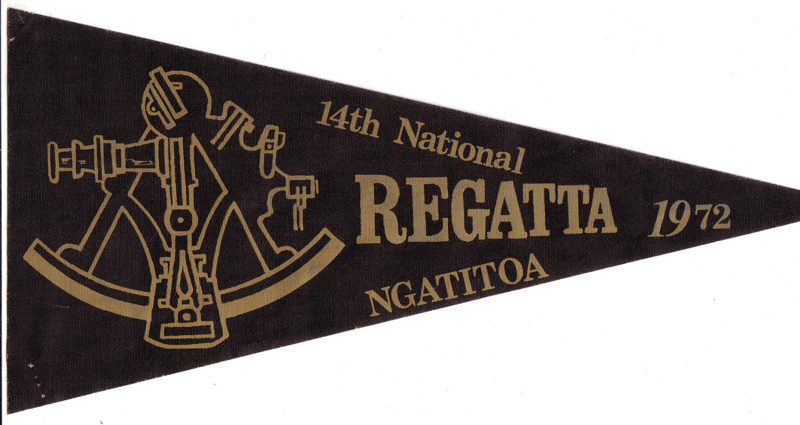 Screen printed linen pennant for the 14th National Sea Scout Regatta held at Ngatitoa Domain, Paremata, Wellington. This event commenced prior to New Year, so commenced in 1972 which is the date on the pennant. 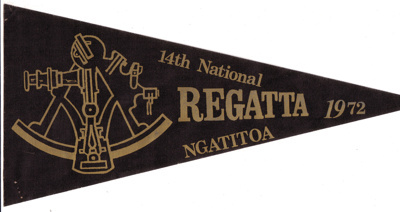 All other material refers to a 1973 regatta as the bulk of the event was in January 1973.